Mold can hold up the sale of a home! Homeowners & buyers don’t usually notice it until it’s pointed out by a building inspector. And they don’t call an inspector until they’re getting ready to sell or buy a home. This leads to costly delays. in homes, get the seller to disclose mold issues, and remove mold if your client decides to buy a home damaged by it. 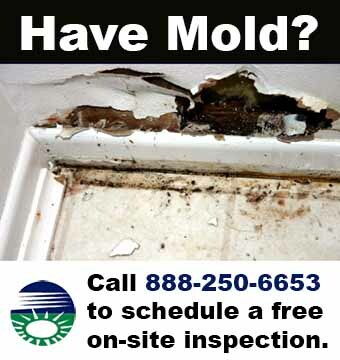 Mold is a fungus that comes in various colors (black, white, green, or gray) and shapes. While some molds are visible and even odorous, mold can also grow between walls, under floors and ceilings, or in less accessible spots, such as basements and attics. Mold does best in water-soaked materials (paneling, wallboard, carpet, paint, ceiling tiles, and the like) but can survive in almost any damp location. Mold can grow in houses situated in the desert, and it can grow in homes in hot and humid climes. 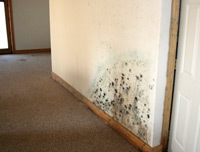 Besides presenting an ugly appearance and, sometimes, an unpleasant odor, mold can cause health problems. In the worst cases, a few types of molds produce mycotoxins, which can cause rashes, seizures, unusual bleeding, respiratory problems, and severe fatigue in some people. This can KILL a real estate deal! How to Detect Mold – Call Us for An Inspection! they are considering buying, but you can take a few easy steps to help them try and find out. Ask your home inspector. While it’s not the inspector’s job to look for mold, most home inspectors will mention obvious signs of water damage and the possible presence of mold. And because the inspector will poke around in spaces you might not, he or she may see things you wouldn’t. Should you get an expert’s opinion? If you suspect mold is present in the home, but none is visible, you should hire us to test the air in and around the home. Testing the air is generally about the same cost of a home inspection. If the company takes wall samples, the cost will be a little higher. We can provide your client a written estimate for abatement, removal. This includes a 20 YEAR FULLY TRANSFERRABLE WARRANTY. Should Your Client Buy a House With Mold Problems? If you find a house and discover it has mold problems, should your clients buy it anyway? You’ll have to provide them with resources on whether the cost of removing the mold and fixing the source — both in time and money — is worth the price they’ll pay. If you have an inspection contingency and the mold is revealed as part of the inspection, or if you have a specific mold contingency, you have a bargaining chip. You can ask the seller to reduce the asking price, to fix the problem, or your clients can choose to walk away from the deal. How do we treat the problem? 1. Contain any materials not receiving treatment with 6 mil. poly plastic . 2. HEPA Vac all surfaces receiving treatment. 3. Apply cleaning system throughout. 4. Apply biocide throughout (preventing mold from regrowing). 5. Supply negative air (for all jobs).